Sparkbrook, Sparkhill and Balsall Heath were among the first areas in Birmingham to get extensive 20mph zones in 2015. At a cost of £400,000, the 20mph scheme was anticipated to pay for itself within a year. Two years on, what impact has it made? Local residents of Colville Road worked with Balsall Heath Forum, Nelson Mandela School, The Police and Fire services, Birmingham 20mph, Living Streets, Birmingham Bicycle Revolution and Active Streets from the Wellbeing Team to find out. There have been no injuries on Colville Road reported since 2014, when three people were injured and four vehicles crashed on Colville Road. The junctions at both top and bottom of the road are still dangerous places on the road, and even though initially accidents appear to have dramatically reduced, it really is too soon to be certain the lack of injuries is down to speed reduction. Through the summer of 2017 the fire service monitored the speed of cars on Colville Road to measure exactly how much impact 20mph has had on speeds – an issue worrying many local residents and the staff, parents and children at Nelson Mandela School. Astonishingly it turns out that most traffic (99%) was adhering to the 20mph speed limit in the two week long periods when all speeds were checked. 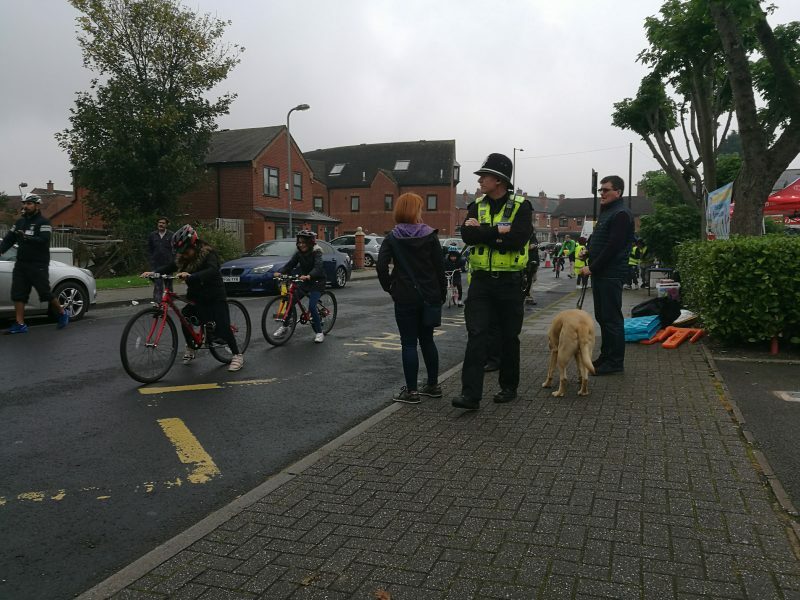 Drivers appear to have changed their driving habits on Colville Road, but what do the local residents, parents and children at Nelson Mandela School think, and given the changes that appear to have happened, how safe do they feel? 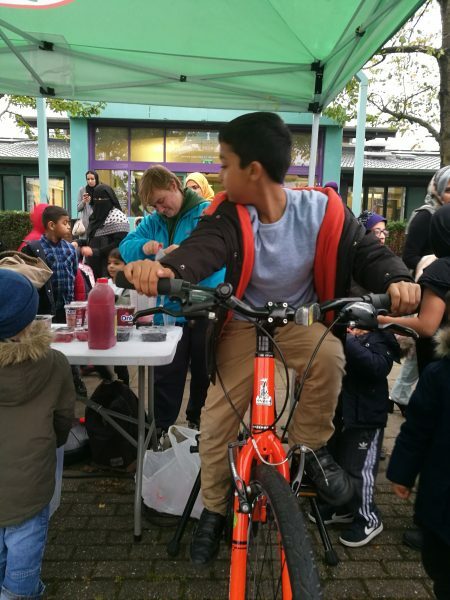 On the 18th October we found out, running workshops throughout the day Nelson Mandel School, and running a ‘road safety’ themed Active Streets event in the afternoon on Colville Road. During the day Police demonstrated their speed guns – one driver foolishly sped touching 50mph down the road with children and Police standing watching. Do you feel safe on your road? No , because there’s lots of vans coming at 30mph and it’s hard to cross the road. Most cars are speeding. They’re not going at 20mph. All the time the sign says 30 [sign flashes up speed of cars on Colville Road]. It’s very busy so it’s hard to get to school and back. It’s really busy on the roads and it’s our parents. It’s hard to cross because you can’t see where you are going. Sometimes the cars are actually blocking the road so you can’t see where you are going. The cars should be parked somewhere else to make it easier to cross to school. In winter it’s more dangerous because it’s very cold and people don’t like going out of their car. And it’s dark.